Even though it may have been shorter than some expected or wanted, AND even though the storyline has been done before...this game was fun and had enough differences from other games that I really enjoyed it. The HO areas were good - not too hard or too easy. I like abit of adventure game thrown in - and this did just that. I do want to know why I ended up with some cheese in the end...but I can live with that! lol! I didn't time myself playing the game so I'm not sure how long it took me, but I can say that it was an enjoyable time and I'm glad I got it. I dont care what others have to say, I am totaly enjoying myself. this is the kind of game I love. The music suits its perfectly. I love the old house etc, the scenes are beautiful. I love drama, spookiness and wonderment, this has it. Well done devs, you made my day. I REALLY liked this game. It's rather long so it kept me busy for a long time. 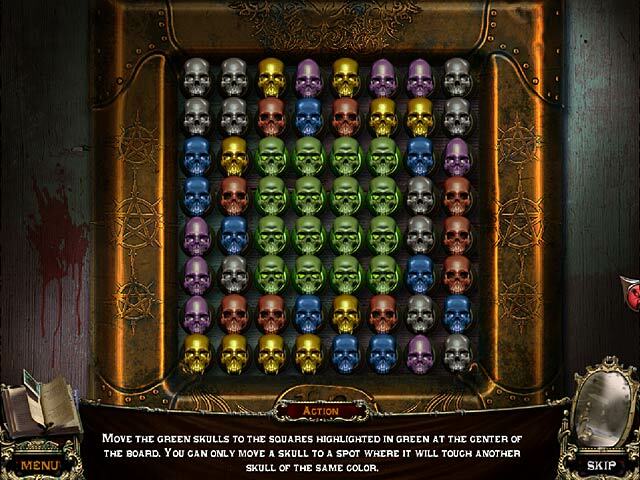 Perfect game for the Halloween season! Items were well drawn and puzzles were more difficult that most other games. Great game!! and not short!! Played in casual mode which I always do first time. Just enough HO scenes and puzzles beautifully mixed so as not to hang too long. Music good, voice acting good. No map but not needed as hint system pointed in right direction if I got stumped as to where to go. Inovative concept near end with different challenges, interactive HO etc. A new developer for me, and they've really hit the mark with this game. I'm still hoping BigFish will add developers name to game description. Good value for money and very replayable. There was a ritual, your bother was kidnapped, chasing kidnapers causes a car crash (sorry folks), and you must find your brother who has been taken to a mansion. Three levels of play: Casual - Quick hint refill and sparklines Expert - Twice as long hint refil and mini game skips Professional - No Hints, skips or sparklines You have a diary, but no map that I found, great appropriate music, cinematic characters, excellent audio and no click penalty. 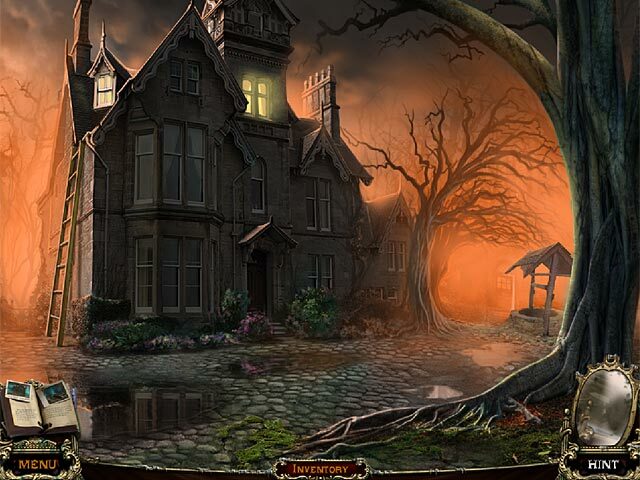 The mini-games have been mixed in well with the hidden object games. Mini-games are fun but typical with a few variances mixed in. 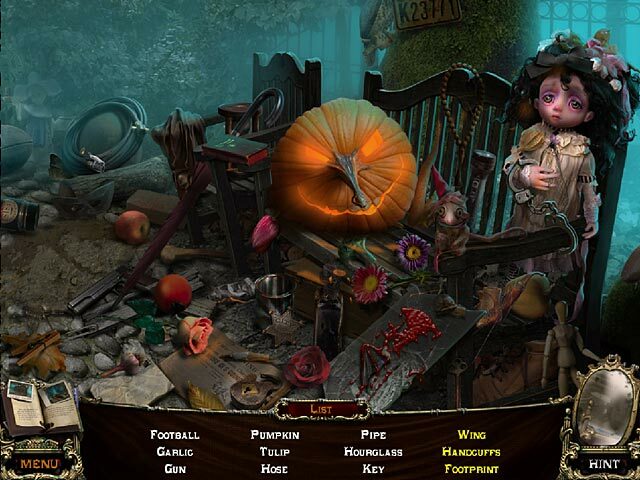 Hidden object scenes are well drawn with large objects, some items have to be combined, and there is no click penalty. Demo ends once you gain access to the mansion. Very well done - good job game developers! 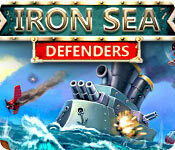 Excellent game with fantastic mini games. The HOG are not difficult but fun. 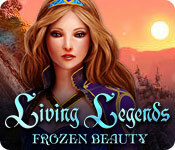 Very relaxing but the hour free play is just not long enough. This is a clever game in that you get so in to it that once the hour is up you just have to buy it. Music gets a bit annoying at times but it doesn't spoil the enjoyment of the game. The visual quality is good and the hint button is very useful. Altogether another winner. Can't wait to buy it. I really enjoyed every minute of this Game! The Game play was easy but storyline was interesting enough to keep you playing. Great Graphics and live people talking to you through out the Game was a Collector's Edition touch. The Music was a bit repetitive but you don't really notice it if you are immersed in the Game. Definitely worth a try! The story is not wow, but overall gameplay is really good, it took 4.5 hours to play it. I played my hour & couldn't wait til it was up so I could buy this game. Every thing about this game was great; the graphics, music, HO's, etc. The hint button tells where to go next, but it doesn't tell you what to do. That's fairly simple. I highly recommend this game to anyone.